The MDI-E is the original elliptical island that changed the paradigm in regards to island shape and design. It was inspired by organic shapes and the mathematical formula for natural beauty, the golden mean. 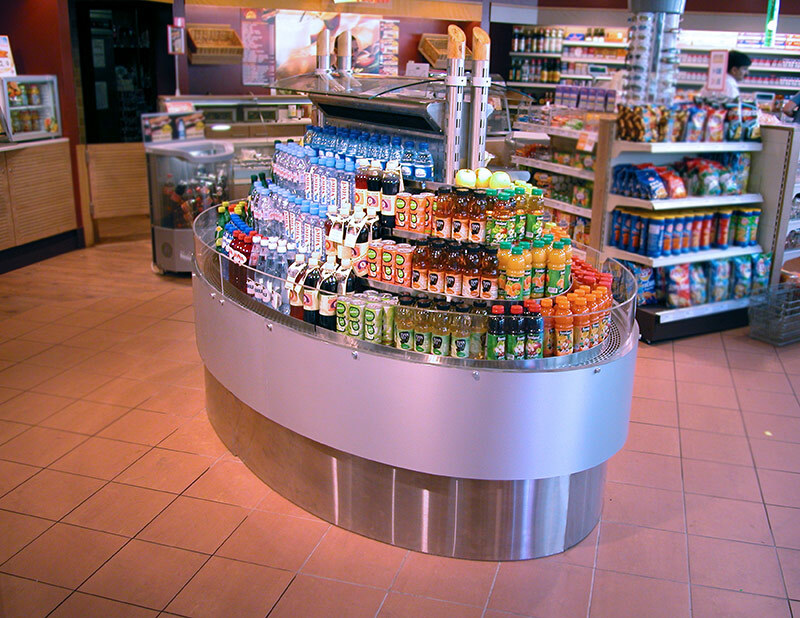 The MDI-E has various configurations, with shelves or risers, and can be further customized to meet most any merchandising need, such as a beverage center stage, hot soup station, condiment bar, medium temperature foods or even hot foods for a meal solutions center. 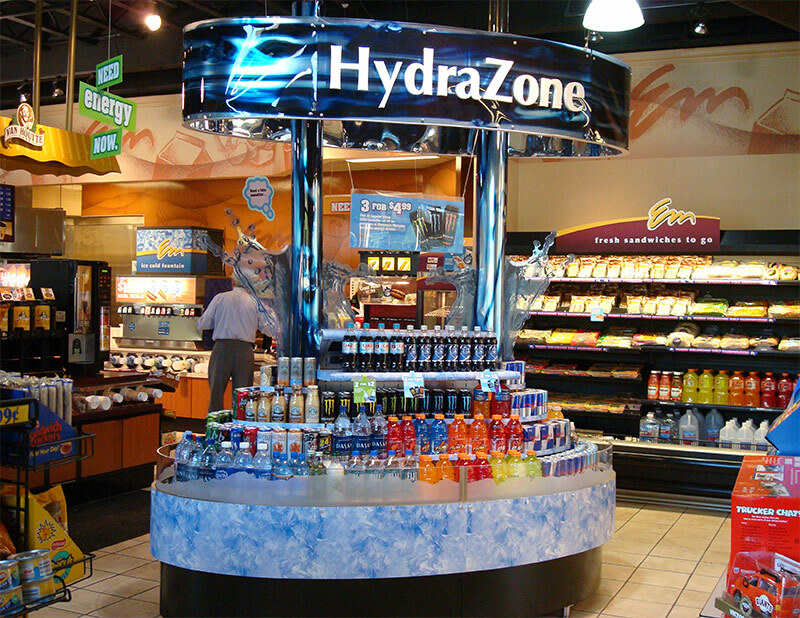 For deli island applications the E-island is provided with a base and two upper adjacent shelves. Experience the MDI-E with our virtual interactive tour. 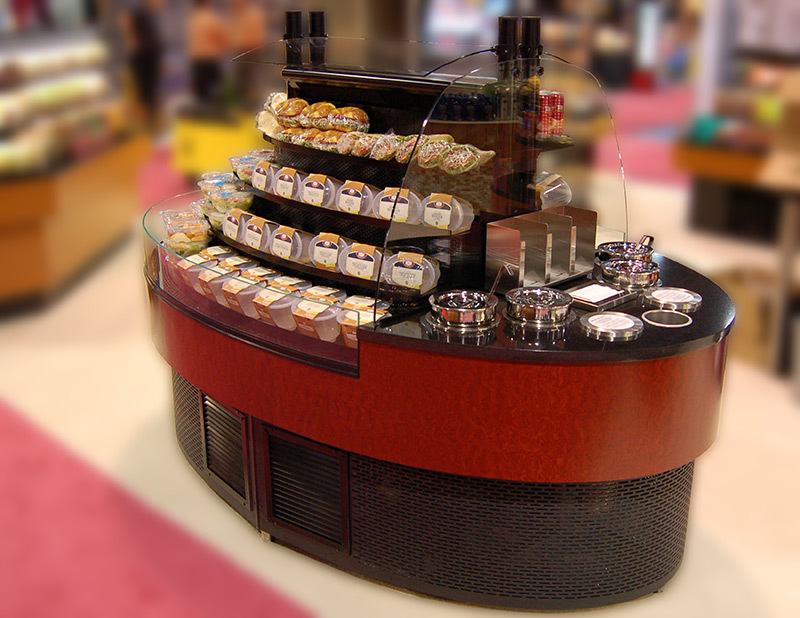 Try out a variety of colors and finishes, populate the island with product, and take a 360 degree walk around the MDI-E.
•	Alternative configurations for soup, heated ends, low temp.